The Malasimbo Music and Arts Festival is the first international music and arts festival of its calibre in the Asia-Pacific. It is set amidst the tropical gardens of Puerto Galera, Oriental Mindoro, Philippines; truly one of the world's most enchanting backdrops for a festival. It is organized annually by Volume Unit Entertainment, Inc. and the d'Aboville Foundation with avid support from the DOT. The festival grounds is situated on the foot of the majestic Mount Malasimbo where its most prominent feature is a grass-terraced amphitheatre that overlooks the bay, renowned to bear the title as one of, "The Most Beautiful Bays in the World". The festival debuted in February 2011 to a stunning turnout of 1,500 individuals. On year two, the festival drew in over 3,500 tourists to Puerto Galera, more than double the first. 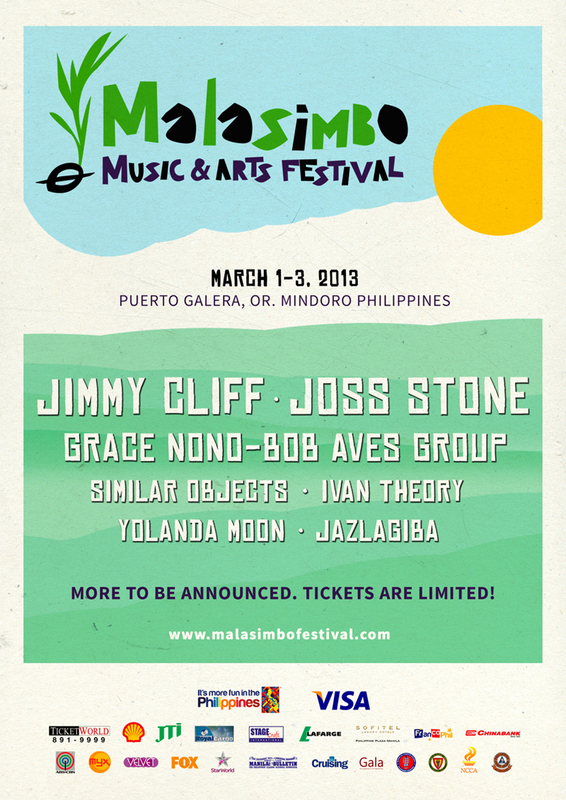 The next Malasimbo Music and Arts Festival is coming up on March 1—3, 2013, the first weekend of the month. The festival is recognized by the Department of Tourism as a prime catalyst for the Philippines’ continued advance in music, arts, and culture, and is highly publicized in local and international media for its unique eco-cultural program. Please visit www.malasimbofestival.com for more information.